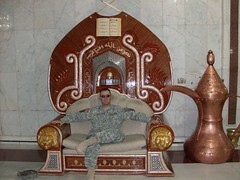 As many of you know I have been in Iraq for about the last 12 months. I just returned and I am excited to get back to my family and job! I'm also excited to be blogging again!